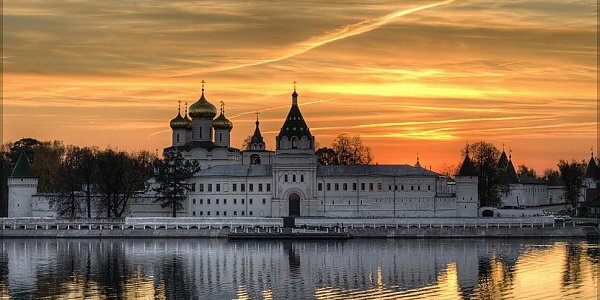 A part of its art and cultural importance, Kostroma was closely linked to the Russian royals. Highly significant historical events took place here, starting from the merger of dozens of princedoms in the early days of the Russian Empire, from the events of the Revolution to the fall of the mighty USSR. Ipatievsky Monastery is not only one of many amazing old structures and a place of not only spiritual but also rare historical meaning: it was here that the first Romanov was elected as the new Tsar of Russia. The monastery and surrounding areas hold plenty of state secrets. Just ask your guide! The open-air museum “Sloboda”, located at the junction of the rivers Kostroma and Volga, exhibits amazing pieces of traditional wooden architecture from the region. Some of these wooden masterpieces are three hundred years old!